2014 Spark EV down to 15.3kWh, time to take it to the dealer? 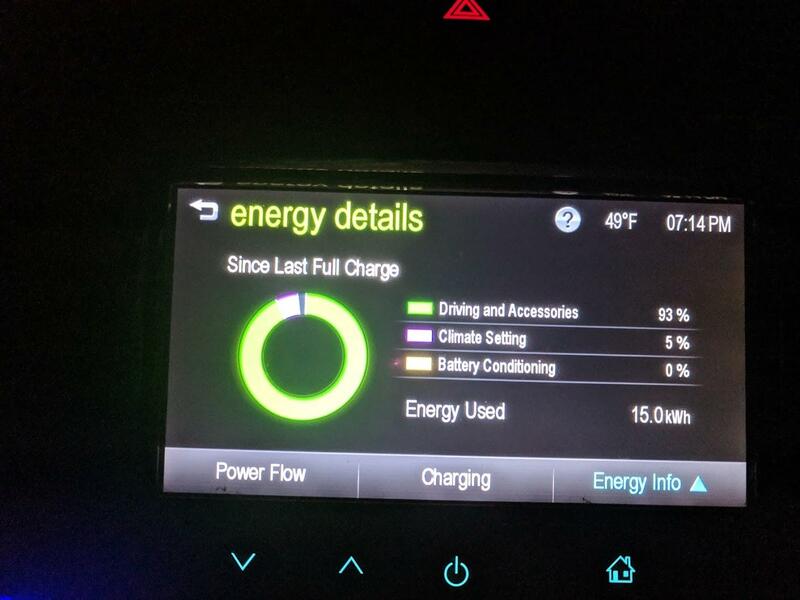 I am the original owner of my 2014 Spark EV, bought in Oct 2013, just ticked over 40,000 miles. Just got back from a short trip and noticed the battery capacity is seemingly getting rather low. By my maths this equates to ~15.3kWh capacity. Time to get it checked at the dealer? What is the warranty threshold? Re: 2014 Spark EV down to 15.3kWh, time to take it to the dealer? OK, this is from memory, so it might be wrong ... the 2014 Spark EV battery warranty is for 8 years and 100K miles. The definition of "normal" degradation during that period is up to 35% (for a 2014 - I think that it was raised to 40% for 2015 and 2016). If the battery had a 20kWh capacity when new, that would mean you could lose up to 7kWh (i.e., down to 13 kWh when full) and still be considered "within warranty limits". If you are getting an average of 5 mi/kWh, you would lose 35 miles of full-charge range. Now, that is blurring the lines between "actual capacity" and "usable capacity". The battery may, theoretically, be chargeable from completely empty to 'full' with 20 kWh, but the 'usable' capacity may be lower (say, 18 kWh) because GM made it impossible to really, completely, fully charge or discharge (meaning they left a non-user-accessible buffer zone at the top and bottom, to make the battery last longer. I don't remember ever seeing GM publishing official capacity info on the batteries in the Spark (with the clarification that they were 'theoretical' or 'usable'), but some figures I've heard were around 21 kWh for the 2014 (before they changed battery supplier for the 2015). Usable, I would guess was about 18.5 kWh (since the default m/kWh for the car is 4.4, and 82/4.4 is 18.6). What does all that mean? You have until 2021 AND 100,000 miles max to use the battery warranty. And you probably can't get it applied until the usable capacity of the battery is below 13 kWh (a highway range of around 57-60 miles in warm weather, around 75 degrees F). 15.3 kWh left out of 20 kWh is 24% degredation, not 35%. The warranty is applied if after 8 YEARS (or 100K miles) the battery drops more than 35%. You aren't in that situation yet. Well, then, it seems that you could easily fight that if they published 21 kWh battery in the spec. When you calculate that you are getting close to passing 35% degradation around (13.6 kWh), bring it in under warranty and have it checked. You still have about 2 1/2 years (and 60,000 miles) to go, so maybe you will pass the limit and get a replacement battery! Lol, guess I'm hoping for my battery to fail harder. From the warranty terms, GM is the only one with all the exact information, and the only ones who will determine if your degradation matches the warranty. Note: My current TorquePro data for both my 2014 and 2016 Spark EVs show a ~1 kWh drop in battery capacity when the battery temperature drops from around 30 deg. C to 14 deg. C (Jun 18 to Feb 19). How much of this drop is due to battery temperature and how much is due to degradation I will not know until Jun 19 when the battery temperature will be back up to 30 deg. C.
So it appears that 20 kWh is a good 'guess' for initial usable capacity. And if GM publish data saying that the initial capaity was 21 kWh, so much the better! !